When it comes to breakfast, I’m not adventurous, at all. I eat the same thing, day in day out. 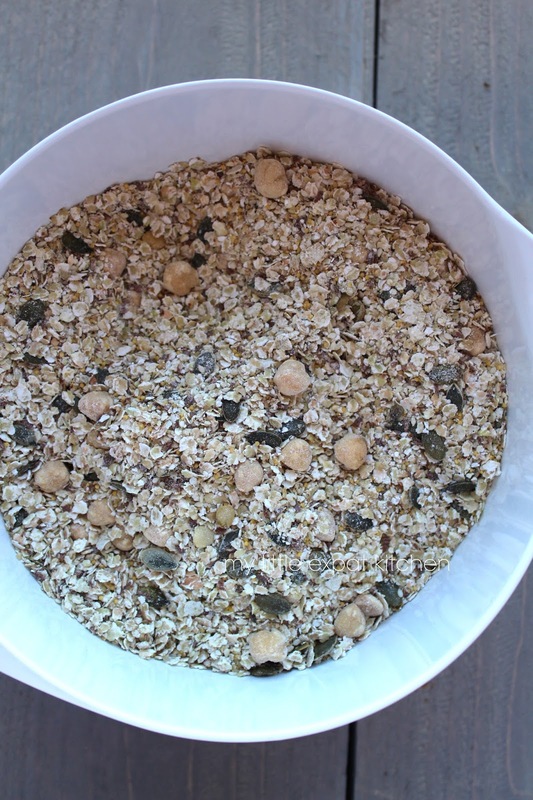 What I eat in the morning is granola or muesli with milk. That’s it. Nothing more. No coffee, no juice, nothing. Except on weekends when sometimes I have a savory breakfast of eggs, tomatoes and cheese, or a sweet one of croissants, bread with jam or honey, or waffles (yay waffles!). But then I can’t wait for Monday to come so that I can eat my regular breakfast again. You could say I’m pretty boring; I would say, that’s just me and we all have our preferences. 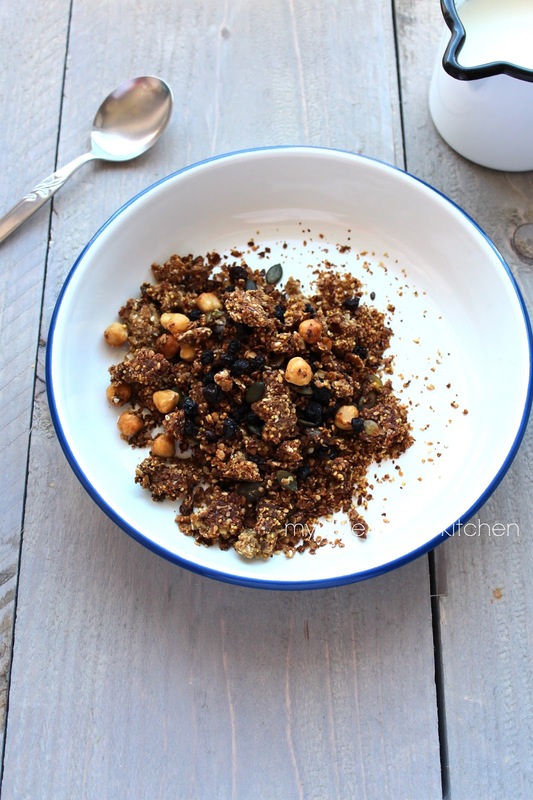 I never used to make granola, I preferred buying it ready made, up until a few months ago when I did start making my own. 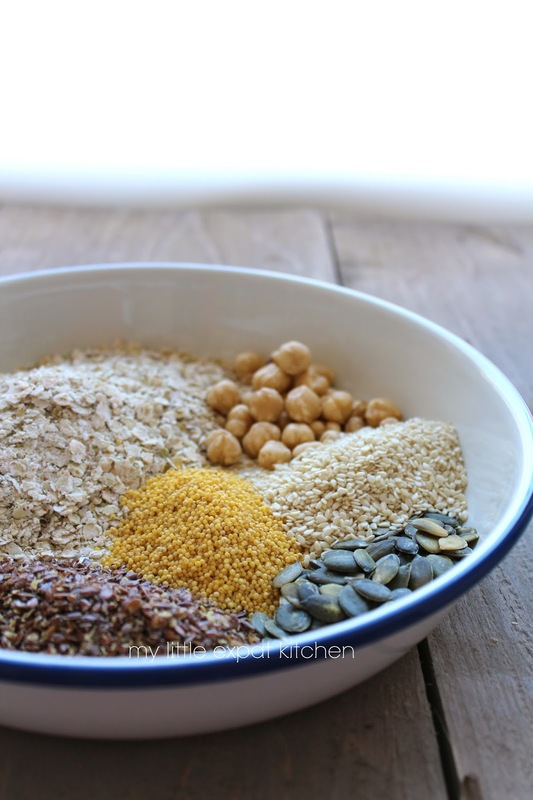 I’ve discovered that it’s so easy to make and so versatile —adding the ingredients you like or those you have on hand— that I don’t really have an excuse not to. 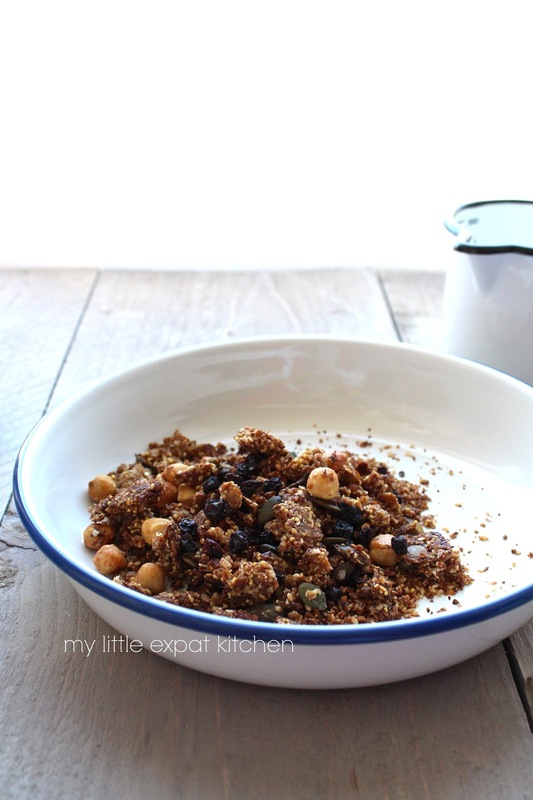 If you haven’t tried making your own granola, you’re missing out. One of the very first recipes I tried was this one from the Violet Bakery Cookbook. I made some changes to suit my personal taste and the outcome was fantastic. 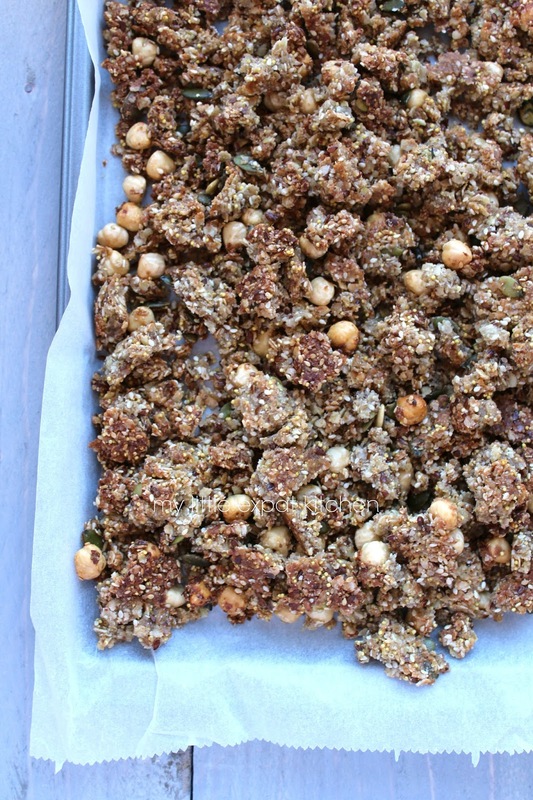 I keep coming back to this granola over and over. 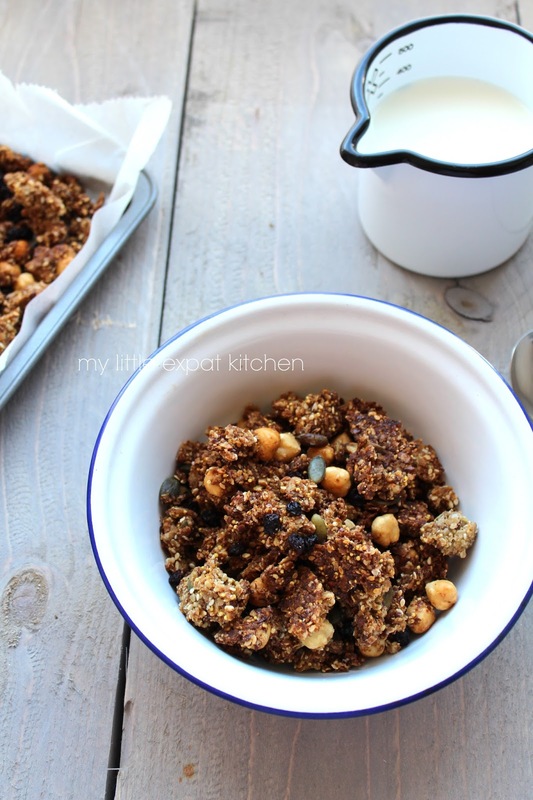 I prefer chunky granola with clusters that hold together when soaked in milk and don’t disintegrate into nothing or become soggy, but I also don’t want the clusters to be too hard. I don’t want to give my jaw a workout first thing in the morning. I managed to achieve the right texture and I was so happy with the result. Apart from the texture which is bang on, the flavors are incredibly good as well. 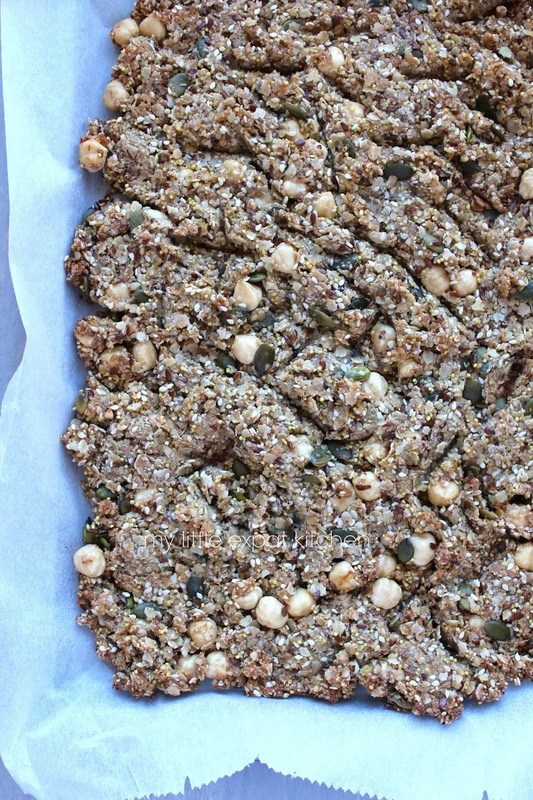 Earthy, nutty, aromatic, sweet, but not overly so, as the recipe doesn’t contain any refined sugar but only agave syrup. It is also gluten free since the main ingredient is buckwheat flakes. 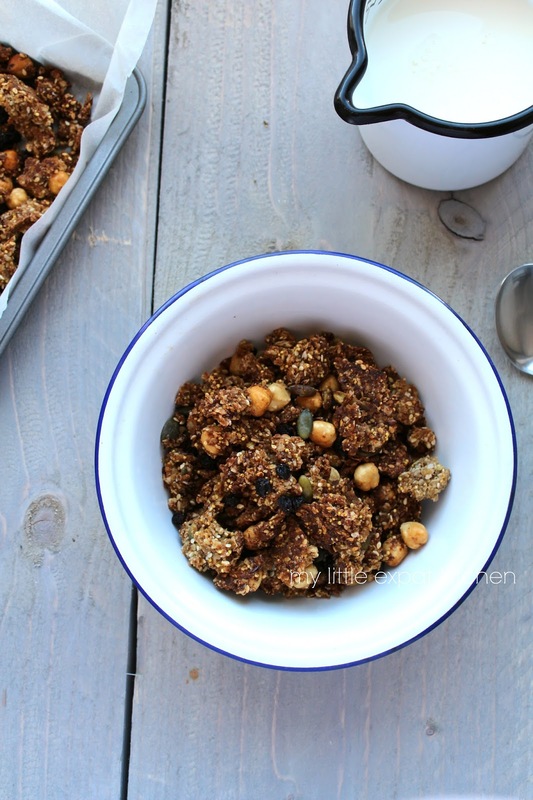 I love the flavor of buckwheat with its slight bitterness that is balanced by the hazelnuts, dried currants and seeds. 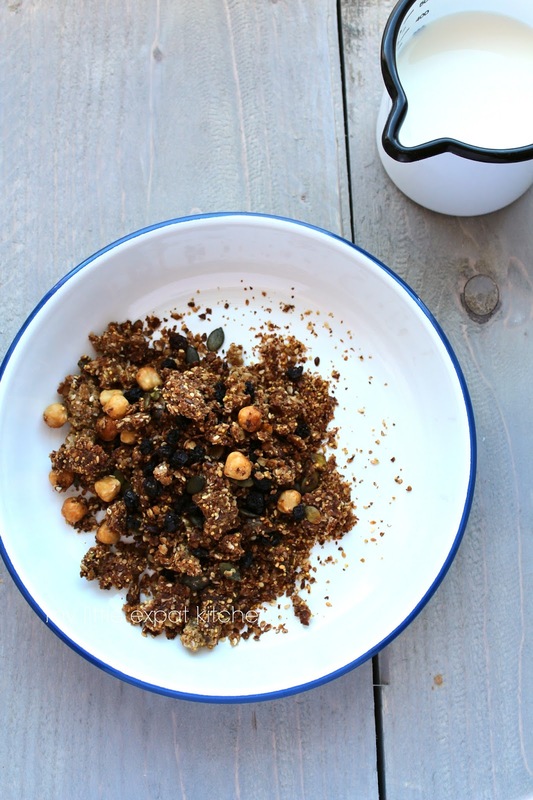 It’s a hearty granola that fills you up for hours without having to eat too much of it. And that’s what you want from your breakfast, right? 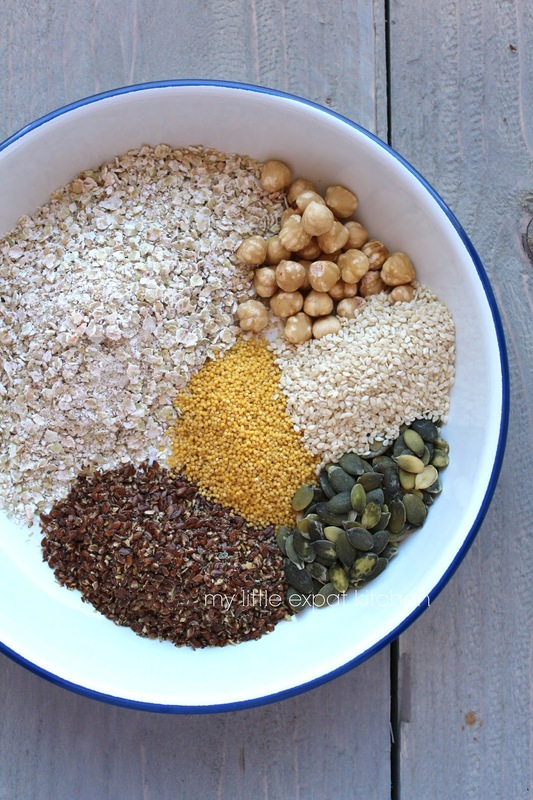 Use ground flax seeds instead of whole seeds in order for your body to be able to absorb all the nutrients like Omega-3 fatty acids, protein, vitamins and fiber. Line a large baking sheet (or two small ones like I do) with baking paper. 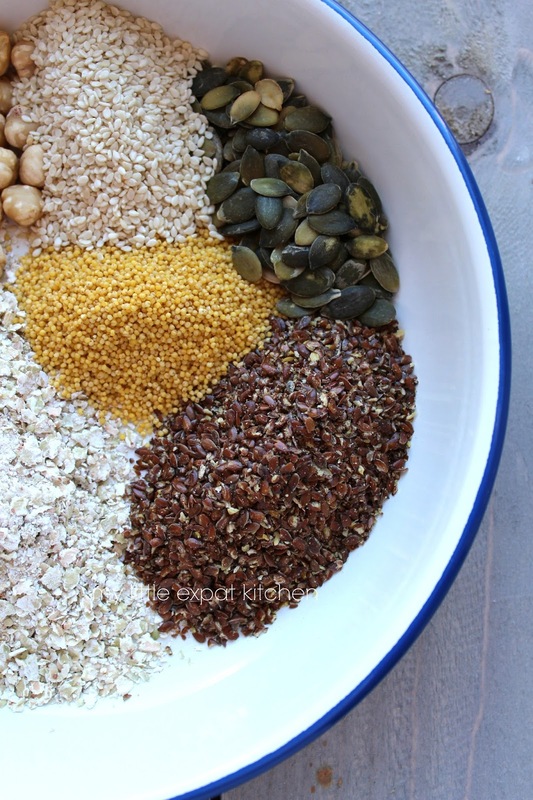 In a large bowl, add the buckwheat flakes, hazelnuts, all the seeds and millet. Mix well with a wooden spoon to combine. Set aside. 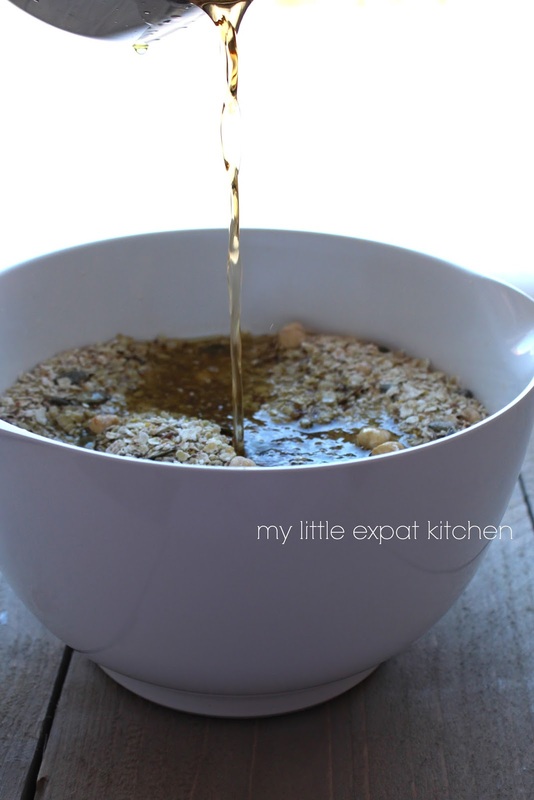 In a small saucepan, add the agave syrup, olive oil, coconut oil and the water. Set the pan over a medium heat and melt, whisking continuously. 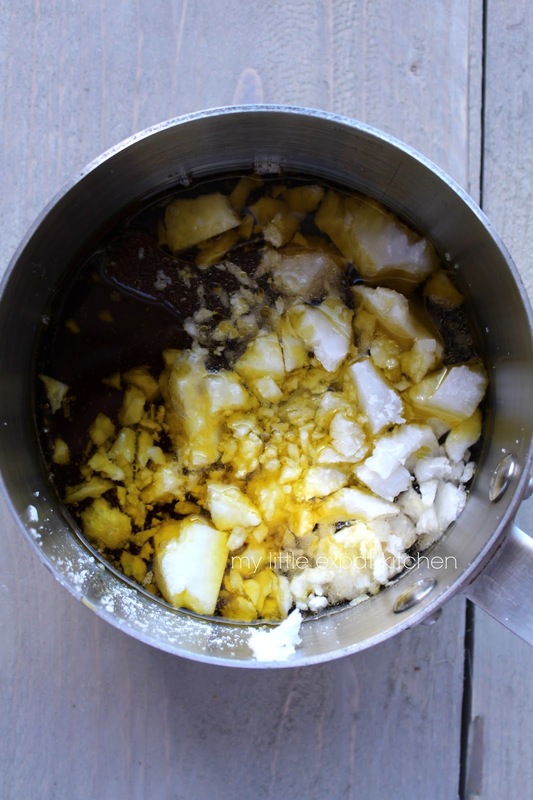 Remove the syrup mixture from the heat, add the vanilla, cinnamon and salt, and stir well to combine. 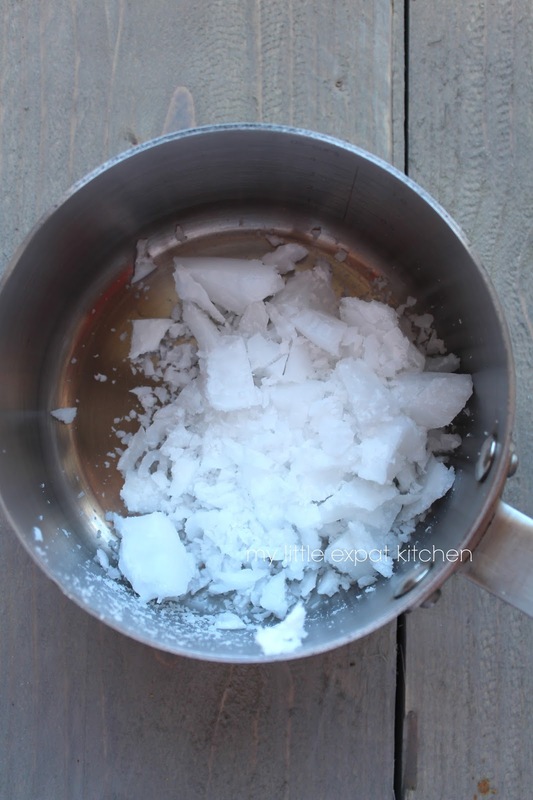 Pour the syrup over the dry mixture and stir well to coat completely. 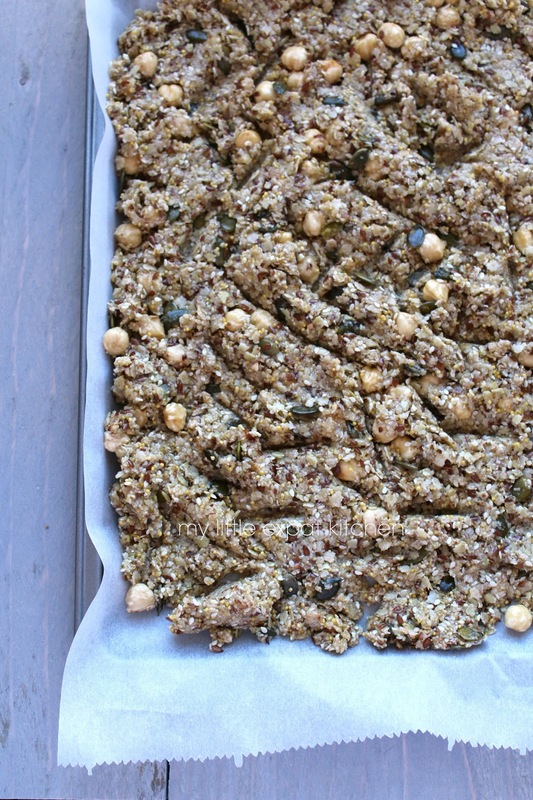 Spread the granola mixture evenly onto the prepared baking sheet(s) and place on the middle rack of the preheated oven. (If you’re using two small baking sheets like me, place one on the lower rack and the other one on the middle rack. Halfway through the baking time switch them). 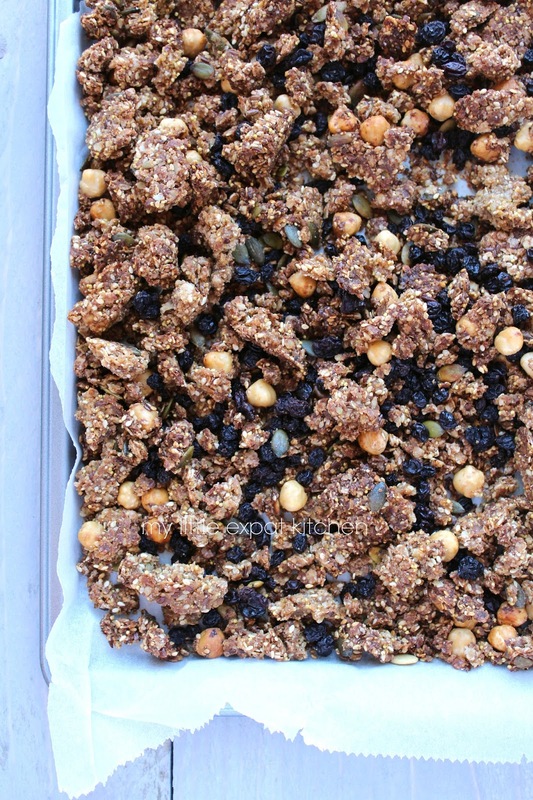 Bake for 30 minutes, then remove the baking sheet(s) from the oven and toss the granola well with a metal spatula, breaking it into large chunks. 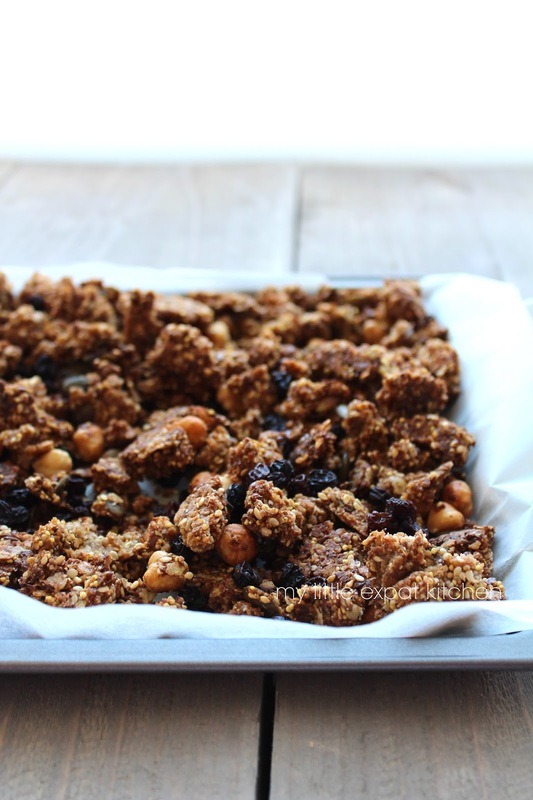 Return baking sheet(s) to the oven, turn down the temperature to 140°C and bake for a further 30 minutes, tossing the granola every 10 minutes, until It has taken on a golden color. 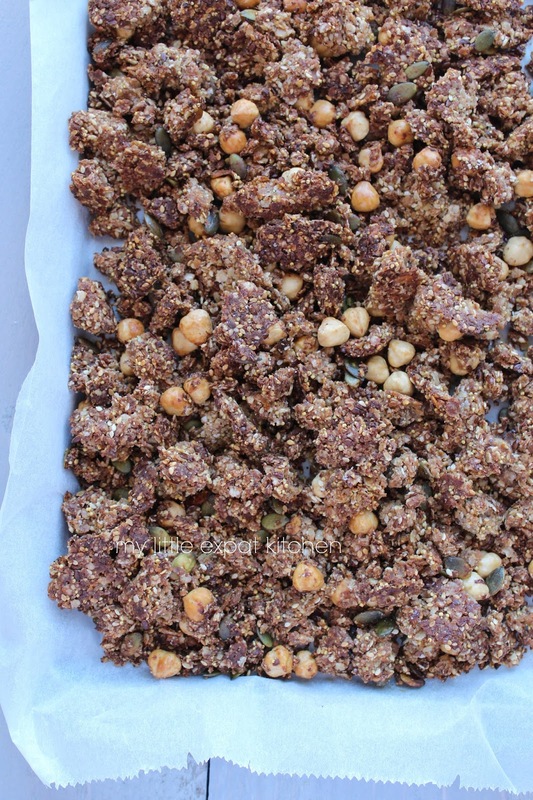 Once ready, remove the baking sheet(s) from the oven and place on a wire rack so the granola cools completely. Then add the dried currants and toss well. Serve with milk or yoghurt. Store in airtight containers. It keeps for 1 month in a dark and dry place. 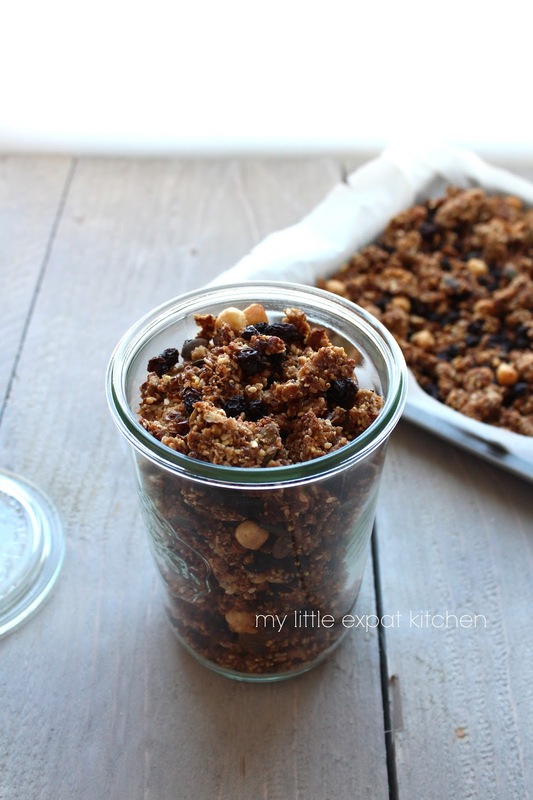 I just pinned this and want to try this: I also started making my own granola last year and cannot switch back to store-bought brands anymore, they are just too sweet or somehow taste artificial. 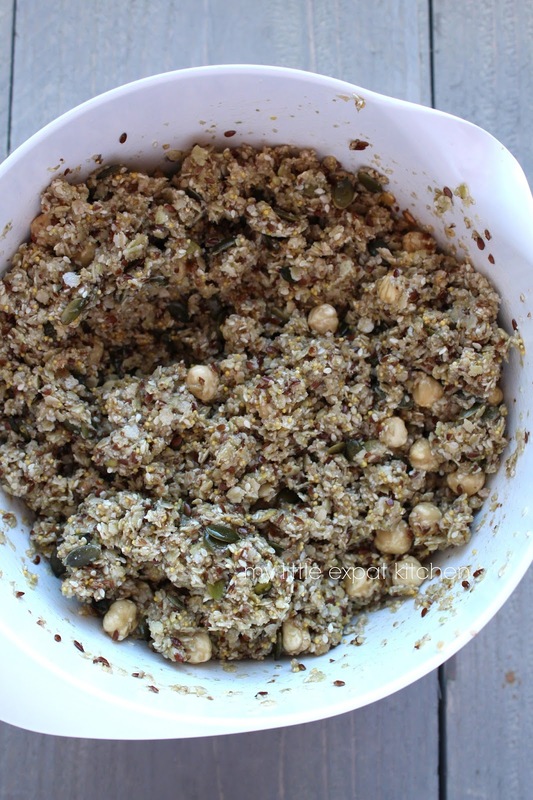 I also like choosing my own ingredients, I like crunchy, and I love how it satisfies me, fills me and never bores me. Thank you for this new recipe. All content of this blog, including text and photographs, is protected by copyright. You may not use without my permission. Please ask first.